Today in this post I will tell you how you can Schedule your emails for your Gmail and Yahoo Mail account. You might not able to wish your family and friends on their birthday and anniversary on time or your boss have told you to send a him an email at the time he mention but you are not sure that you will able to send that on time. 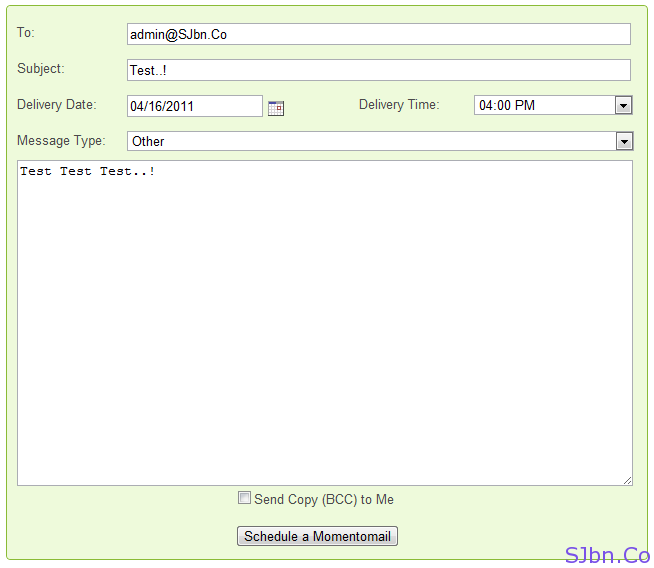 So you can schedule your emails if you are using Gmail or Yahoo Mail using Momentomail. Momentomail going to help you in scheduling emails at any time you want. You just need to go to kymalabs.com/mmail, login to your Gmail or Yahoo Mail account and start scheduling your emails. You can also see and edit what emails that you have scheduled and what emails have scheduled and it got delivered to recipient. If you have any question or problem let me know. Thanks for the nice write-up! Hope you enjoy using the service! If possible please do add this feature that we can send using our own email address..
Keep checking back and I think you’ll find that feature in a few weeks!